q Check exhaust fans for snow build-up around hot water tank and furnace vents. If you live within a condominium, please notify your property manager regarding any build up. There are many reasons why homeowners choose to get into the rental market. Many choose to rent out their homes while waiting for the market to improve. Some homeowners want to generate rental income from a second home or vacation property. Still others find themselves with multiple properties in hand after large life events, such as marriage, relocation, or inheritance. Regardless of the reasons for getting into the business of renting properties, it’s important to get started on the right foot. That involves asking yourself some hard questions, doing your research, calling in the experts, and even putting in some elbow grease to get your property ready for the rental market. Here’s a quick guide to what’s involved. Owning a rental property is much more than just collecting payments every month. As a landlord, you are legally responsible for providing a safe, livable home for your tenants, as well as maintaining the property with timely repairs. Consider that owning and maintaining rental properties is running a business. Ensure that you have the time, resources, skills, and patience for the often-unpredictable nature of the industry. Take a long, hard look at your rental unit and write a list of its attributes, including square footage, neighborhood, number of bedrooms and bathrooms, amenities, and yard size. Then, search for comparable units online to get a good idea for how much you’ll be able to charge. Once you know how much you’ll be able to charge for your rental property, consider additional costs, such as the increased price of homeowners’ insurance, the cost of maintenance and repairs, unanticipated damage by occupants, carrying costs between tenants, and advertising, to name a few. To outsource, or not to outsource? If you are interested in renting your property, but don’t want to fulfill the role of landlord, consider hiring a property management company. In exchange for a monthly fee, property managers will find and screen tenants, serve as the main point of contact for occupants, manage repairs, collect rent payments, and tackle other duties. Rental income must be reported on your taxes, but some expenses may be tax deductible. Consult a qualified accountant to explore the potential financial gains and losses that come with renting property. Additionally, consult a real estate attorney in your local area. While you may be able to find sample rental contracts online, a lawyer who is familiar with laws and regulations in your local area will make sure that the lease agreement your tenants will sign is legal, appropriate, and protects you in case of unexpected events. Lastly, get the property itself ready for listing. This can mean tasks as minor as removing your personal belongings, or more substantial improvements like upgrading appliances and painting. If you’re utilizing a property management company, ask them for tips on how to get your property rental ready. With good preparation, consultations from experts, and an honest look at the finances involved, homeowners can find renting property to be a beneficial way to increase income, delay selling a home until the market improves, or cover costs associated with owning multiple properties. The government has yet again tightened mortgage rules for the third time since 2008. Those with a high-ratio insured mortgage saw the loss of 35-year amortizations and refinances above 85% of their loan-to-value (LTV) ratio. This in turn means that not only do well-qualified borrowers lose an amortization option but more interest expenses are accrued for anyone not able to refinance their high-interest debt. They also made it difficult for non-bank lenders to offer a Home Equity Line of Credit (HELOC) by removing insurance on secured credit lines. Nervous investors have been readily buying up safer Canadian bonds – increasing prices and decreasing yields. Therefore we’re seeing other rates drop too. The bond market actually has more influence over fixed mortgages than the BoC’s posted rate which of course trickles down to variable mortgages also. Before August 2011 variable-rate mortgages were a good choice for the savvy homeowner but after the U.S. debt downgrade, not so much. However even though the media has declared variable-rate mortgages ‘over’ a comeback is inevitable. In light of last year’s trends should you be restructuring your mortgage to cash in on these low interest rates? It depends. Calculate the difference between your high-rate mortgage and the current rate to come to the interest rate differential penalty. Determine how much time remains in your term. Of course the best way to know whether switching is a good idea for you would be to contact me today. I can answer all of your questions and help you review your options. Before you start looking at homes, you should figure out what you can afford by getting pre-approved for a mortgage. Doing some calculations of your own may give you a rough number but with so many factors involved it’s always best to get in touch with a Mortgage Specialist like myself. Keep in mind that being “pre-qualified” and “pre-approved” are two very different things despite the terms becoming interchangeable over time. Pre-qualifying for a mortgage involves a quick review of your finances to estimate an approximate amount of a mortgage that you may be able to qualify for. On the other hand being pre-approved means actually applying for a mortgage with the approval subject to the home qualifying as well. Real estate agents and sellers alike often prefer to work with buyers who have already been pre-approved for a mortgage because it saves everyone a lot of time knowing that you can afford the asking price. In multiple offer situations most sellers will also accept an offer from a pre-approved buyer before considering anyone else. Provide as much financial information as you can including recent pay stubs, previous tax returns, proof of assets and liabilities along with any debts you may have. The more information I have the easier it will be to get you pre-approved. Your Total Debt Service is an accurate measure of your ability to pay your mortgage by taking into account monthly obligations like car or credit card payments and housing costs. A TDS of 40% or below would be ideal. If you happen to be higher debt consolidation might give you some relief. To perform a credit check I’ll need your social insurance number along with your spouse’s or any co-signer. It’s always a good idea to request a credit report beforehand in case there are discrepancies. That way you have time to address problems before the process even begins. You are entitled to a free credit report more than once a year so long as it’s requested in writing and you choose to receive the printed copy by mail. Once we’ve gone over your financial information, marital status etc. you will need to sign some disclosures. At that point your mortgage application will be reviewed, signed and submitted through the underwriting process. When approved Affinity Credit Union will issue a pre-approval letter which outlines the terms of the mortgage approval. Congratulations! Now that you’re pre-approved for your mortgage you can begin looking for your new home! Many people mistakenly believe that home ownership isn’t an option for them but the fact is that there are multiple ways to acquire a down payment. Pair that with record low interest rates and it would be foolish not to buy in 2012. Right now the minimum down payment required in Canada is just 5% of the homes purchase price. However, as a general rule, you should put as much money down as possible. That amount will determine which home you purchase, the size of your mortgage payments along with just how much insurance you have to pay. January 1st, 2012 introduced the First-Time Homebuyers’ Tax Credit. It will provide a provincial non-refundable income tax credit of up to $1,100 for eligible taxpayers. While the details of the program are still being developed it is known that the personal income tax credit applies to qualifying homes purchased after December 31st, 2011. Interim financing (bridge financing) is used when a buyer needs to sell their current home in order to purchase another but the sale of the first home can’t be completed before the purchase of the second. Even though this situation would have the buyer paying more interest, it’s usually nominal and only for a short time. Must acknowledge that a portion of the rent includes a pre-payment of equity on a monthly basis. Must show that the monthly rent payment is an amount in excess of the current market rent for the property. Must contain at least a partial refund in the event that the purchaser doesn’t exercise their right to buy the property. In the chance that the property’s value decreases the surplus rent may not be accepted as equity when eventually applying for a mortgage. In the instance where a home buyer is unable to come up with a down payment they can seek assistance from an immediate family member if the funds are clear of any repayment obligation. You simply need a mortgage gift letter from them stating that this is the case. Also note that gift money must be in the buyer’s possession at least 15 days prior to closing. First-time home buyers are able to withdraw up to $25,000 from Registered Retirement Savings Plans (RRSPs) like the Home Buyers’ Plan (HBP) to be used toward a home purchase, tax-free. Just be sure that your RRSP contributions sit for at least 90 days prior to being withdrawn in order to be deductible. They also need to be repaid within 15 years. Purchase property that they will reside in within the corporate boundaries of Saskatoon therefore causing a rental unit within the city to become available. Have a household income that ranges between $44,500 to $70,000. Repay the funds over a five year period. Now that we have reviewed down payment options you can contact me to get pre-approved for your mortgage and begin looking for your new home right away! When it comes to moving, most of us think of the daunting task of packing up everything we own and lugging it to another place. But have you considered moving as an opportunity to better organize your home? When you’re packing, the last thing on your mind may be de-cluttering, but streamlining your possessions before you move can save a lot of time when you arrive at your new home. The less you have, the less you have to move, and the less you’ll have to unpack! Take stock of what you have – Are you buried under a pile of Tupperware containers each time you open your kitchen cupboard? Is there a VHS player gathering dust in your storage closet? Before you pack up, take time to go through each room in your home and weed out anything that you’re not using anymore. A good general rule is to get rid of anything you haven’t used in the past year (as long as the item doesn’t hold sentimental value). Sell what you can – You can help off-set some of your moving costs by selling any items you don’t plan to use in your new home. If you have decided to purchase new electronics, furniture, or appliances, consider selling the ones you have now on sites like Kijiji, by placing an ad in the local newspaper, or by hosting a yard sale. Every little bit adds up, and before you know it Aunt Betsy’s old toaster will be helping to pay for the moving truck. Pass on what can’t sell – You can feel good about letting go of items that you no longer use by passing them on to family and friends who are just starting out, or giving them to charity. Donate clothes, books, toys and other reusable items to non-profit organizations such as your local thrift store, church or favourite local charity. Label, label, label – When you’re ready to start packing, make sure you have lots of labels and markers available. Most people find it easiest to organize boxes by room, adding labels like “Kitchen,” “Master bedroom,” and “Basement.” Adding a few notes to the label that describe the contents of each box can be helpful too. Also consider labeling boxes by how soon you’ll need them (e.g. “Immediate Use,” “Mid-Range,” and “No Rush”). This may seem like overkill, but you’ll be thankful for your foresight when you’re looking for the coffee pot on the first morning in your new home. Choose your containers wisely – For items you’re going to store long-term (but can’t bear to part with) consider large, plastic containers with lids – they’re stackable and keep out moisture and vermin much better than cardboard boxes do. Be sure to label these well, especially if you plan on stacking them, so you will be able to find the things you’re looking for quickly when they’re needed. Moving is typically not an eco-friendly endeavour. From packing up your belongings, to cleaning both your old and new homes and having everything transported from one location to another, there’s plenty of potential to harm the environment. But it doesn’t have to be this way – follow these simple tips and make your relocation a responsible one. One of the simplest ways to reduce your carbon footprint when moving is to reduce the amount of stuff you have to move. Go through you belongings and sort out things you no longer need. Clothing, furniture and books can be donated to charities, thrift stores or sold in a garage sale. If you have items that need to be thrown out, do so responsibly by recycling wherever possible. Always dispose of electronics properly. Check out the Alberta Recycling Management Authority website for tips on how to safely recycle used electronics and to find the collection site nearest you. It’s also a good idea to consider donation when you’re going through your fridge prior to moving. If you have canned goods that you don’t want to move with you, donate them to your local food bank. Whether it’s the home you’re leaving or the one you’re moving into, you’re likely to be doing a great deal of cleaning during your move. Cleaning products are typically very bad for the environment, as well as your health, so choose green cleaning products whenever possible. Look for products that are non-toxic and biodegradable and read through the ingredient list to make sure they’re all natural. You can also consider making your own cleaner using vinegar and water. It used to be that in preparing for a move you had to gather up cardboard boxes and packing tape – not exactly environmentally friendly. Not anymore – thanks to green moving companies like FrogBox and EcoBox that rent reusable plastic moving boxes. These companies allow you to order boxes online, drop the boxes off at your home on a date that you’ve requested and then pick them up after you’ve completed your move. The boxes are stackable, making them easy to transport. They’re also waterproof and sturdy, so you can be sure that even your most delicate possessions will make it to your new home in one piece. By going this route, you’ll not only save yourself from having to fold and tape boxes, but you’ll also save some trees! When it comes to packing your breakable items, avoid using bubble and plastic wrap and packing peanuts. Instead, wrap delicates in blankets, towels and linens. Do they use only recycled packing materials? Do they have a no idling policy? Do they make an effort to reduce fuel consumption through a shortest route possible policy or speed monitoring? If you’d rather handle your move on your own, be sure to rent a moving van that’s the right size for what you have to move – the smaller the van, the lower the fuel consumption. And to reduce your carbon footprint even further, load your belongings in such a way that allows you to make the fewest trips back and forth. Open concept: Think space, not rooms. Today’s living requires multi-functionality and new homes reflect this. While older homes have rooms designated for a single purpose (think traditional dining room), newly built homes feature blended/flexible areas and open space. Large kitchen with island: Kitchens in older homes are often cramped and lacking in functionality. Contrast that with kitchens in new homes, which include enough cabinets to hold all of your dishes – plus the option of a large island that will allow plenty of room for cooking and socializing. Efficient storage: Newly built homes often include walk-in closets, pantries and overall bigger closets than older homes. Plus, the storage spaces in newly built homes are both stylish and functional. Green from the ground up: New homes are built using materials that are much more environmentally friendly than those used to build older homes. 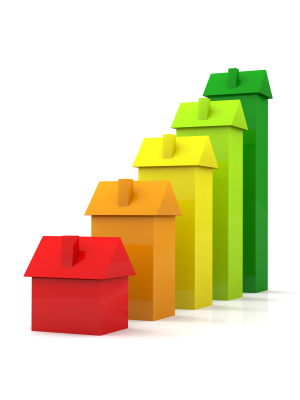 What’s more, energy efficiency is a foremost consideration with most new homes, with energy efficient windows, doors and appliances being standard features. It’s pricey to make these upgrades to resale homes. Wine cellar: If you’re a wine lover, why not create a space in your home to enjoy your passion? Picture a room in your newly finished basement with wine cabinets and racks and a wine fridge or cooling unit. Outdoor room: The latest trend in home design involves extending living space into the outdoors. With comfortable, functional and attractive furniture, special lighting, space heaters, a built in barbecue or an outdoor fireplace, you can transform your backyard into a space you’ll be comfortable in year round. Explore the many available options for walls and screening. Home spa: Bathrooms are always a main focal point in a home. Make yours the ultimate in luxury and tranquility with a home spa. Consider a soaker tub and stand-alone shower with rainfall showerhead. Use upscale materials like granite, marble and slate and include spa lighting and maybe even music. What better place to relax after a long day? Today, people are more creative in decorating their living room. They tend not to only focusing their attention on picking the most stunning but comfortable furniture like those of good quality. More people like it not to only consider the furniture to be put in their living room, but also add the home theater system in their socializing place. However, living room is a place where people are supposed to gather and where people are gathering there should be some entertainment items like TV or DVD players. Usually people are considering putting TV and DVD players only in the family room. But nowadays, people start to be aware of the value of such entertainment in the living room where guests are tending to stay. Thus, people start to think about putting such home theater system along with their Terrys Fabrics furniture in the living room. But people find it uneasy to consider placing the home theater system or even build the home theater room since it can be very expensive to afford that decorative item for a living room. But thanks to the current technology of cinematic devices, it is now available an inexpensive portable home theater system to be placed in your living room. With this portable home theater system, you need not to spend more extra money both for the purchase of the whole units and regular maintenance of it. Having a nice home means that you are able to create a great ambiance in your home. first, you need to make your house feels great from the outside so that every time you come in home, you will be able to feel the comfort even when just looking on your home. It is important to make you feel comfortable when you look inside your home. That is why it is important to choose the best furniture that can show your characteristics. And if you like to show how modern you are, you will like to have modern furniture in your home. However, sometimes, it can be really difficult when you want to have the cheapest as well as the most comfortable. Well, you do not need to look up in difficult place. This one place offers you many things to make you feel the comfort. Here, you can have modern living room furniture to be matched with anything that you have already owned. Various shapes and color will give you many options before you can really decide what you want to have in your home. if you like to have more unique furniture, you can have contemporary furniture as well. Tips to get the best Cabinets. For some people especially women, kitchen is regarded as a place that should be maintained carefully. The condition of kitchen should be clean and hygienic since kitchen is chosen as the place where food materials will be processed and cooked. Therefore, people will buy and prepare the kitchen for the best design and decoration. One of the things that should be bought for the kitchen is cabinet. For some people, they do not expect for usual cabinet. They are looking for the best cabinet doors to beautify the decoration. Besides, they also think about the quality of the product. But, not all the people know the best cabinet door to take. It is because they do not have enough knowledge about the specifications of cabinet door which is good to take. Therefore, it is good to take a look at several tips of choosing best kitchen cabinet doors for your kitchen. First, since the cabinet is usually made from woods, it is suggested to see the wood material. There are several woods which cannot last if there is water touched to it. There are also several woods which can last even though there is water touch to it. It means that prospective buyers should ask the seller about the durability of the product. Second, prospective buyers can see the best design if they want to match the design with kitchen decoration. Design of the product can also influence the situation of the kitchen. Therefore, design is regarded as one of important points to be considered. Third, prospective buyers should also take a look at the size. Before buying the cabinet door, it is suggested to get the right measurement of the size. So, you will not get wrong size. Those three tips can still be added by other point of views to complete the process of choosing and buying the best cabinet door.